Look how quickly the Markets went from extremely Over-Sold to Over Bought again. Markets were mixed again today after having a rally in the morning on Good News. The Tech stocks were lower, and there was weakness from AMZN Earnings. 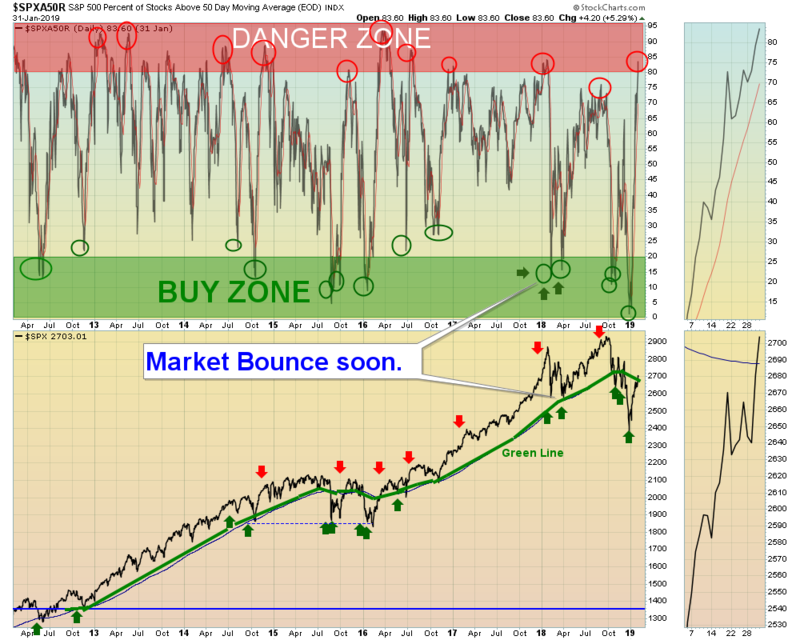 The S&P 500 currently very Over-bought on the Short Term after a 15% bounce up from the Lows. Crude Oil was up $1.30 today at $55.35. There were several Long Term Buys that should trigger on today’s Close. But since the Markets have bounced 15% straight up from the Lows, we will wait on these (more info to come on the Green Line Weekly). CHANGE CROX CROCS, INC. to Medium Term (Sell if it Closes below the Red Line of $27.23). The Relative Strength is still 97, and CROX recently made a High. LOWER the Sell Stop Loss on UNG US NATURAL GAS FUND to the recent Lows of $23.93 on the Lows. UNG is back down in the Green Zone.